You will earn 2583.00 bonus points. ? 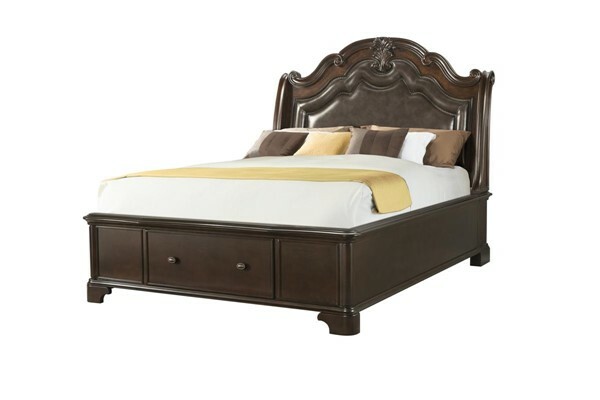 The Picket House Furnishings Tomlyn King Storage Bed is dressed in a dark Cherry finish. This elegant bed is complimented by a two toned, faux leather headboard and a stylish metal nail-head trim. Intricate moldings, and elegant scrolls in the headboard create a refined look you'll love to relax with.